Accelerating the transition to a circular economy has become a high priority for major companies and governments around the globe. The goal is to keep materials in the economy for as long as possible and then to recover them to be reused and recycled into new materials and products. This necessitates strong and consistent demand for recycled materials and depends on manufacturers integrating secondary materials (instead of virgin) into their new products and packaging. For nearly two decades, the dominant market for many of the world’s recycled materials was China. In 2016 alone, Chinese manufacturers and recyclers imported 7.3 million metric tons of waste plastics (valued at $3.7 billion) from developed countries, including the EU, Japan, the U.K., the U.S. China also took in more than half of the world’s exports of waste paper. The demand for large quantities of material with little concern for quality (because low cost Chinese labor could sort it to specification) spurred a massive growth of municipal recycling programs in both Europe and North America; these programs collected a wide range of materials, including plastics Nos. 3-7, or “all plastics.” Materials recovery facilities increased in number as did their average annual throughput capacities. Business was booming and the circular economy was moving along nicely, with much of the actual recycling happening in the world’s most populous country. However, China’s recently announced ban on imports of 24 categories of recyclables and solid waste will change all of that, starting in 2018. The proposed ban applies to several plastic resins (including PET, PE, PVC, PS and “other” plastics), textiles, unsorted mixed paper, and other materials. While many of the details remain unclear, the announcement has already dramatically affected commodity prices and has resulted in shifts in municipal recycling contracts and material acceptance. Unlike the worldwide economic downturn of 2008, which saw Chinese demand bounce back within a year, China’s recent decision is likely to have long-term impacts on the recycling industry, requiring fundamental change in the way we do things. If the demand for sorted recyclables is significantly reduced from the status quo, the future of existing collection and sorting facilities is at serious risk, which threatens a massive slowdown of the circular economy. Demand for recyclables is driven by raw material procurement decisions made by product and packaging suppliers and their customers. In the vast majority of cases, the key variable that determines the amount of secondary material used in production (besides quality, of course) is price. When energy costs are moderate to high, secondary materials are attractive to producers since the move allows them to benefit from a slightly lower price. This is especially true with plastics because petroleum use is an important part of most virgin plastic production. Going the recycled route also allows producers to meet corporate social responsibility goals, including greenhouse gas reduction targets, since using recycled material avoids all the emissions associated with virgin material extraction. On the other hand, when the price of energy or raw materials is low, the attractiveness of secondary material inputs diminishes, and businesses will choose virgin. 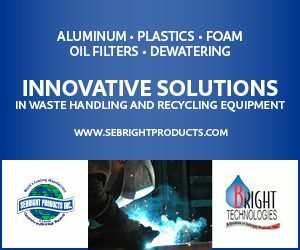 It is for this reason that voluntary initiatives among product manufacturers, although laudable and very important, cannot be the sole path to push greater use of recycled materials. Consider the case of U.K.-based plastic processor Closed Loop Recycling, which in 2013 announced that it would be expanding its high-density polyethylene (HDPE) recycling infrastructure to meet growing demand after major retailers and processors voluntarily supported a commitment of using nearly 30 percent recycled content in HDPE milk containers (increasing to 50 percent by 2020). This case study goes to show that when it comes to the bottom line, voluntary agreements are usually the first thing to go. The EU can no longer rely on voluntary procurement agreements to promote consistent long-term demand. These so-called “soft policies” from the past have only been moderately effective. Because the price of recycled material needs to be less than or equal to the price of virgin material, investment in increased collection and better sorting is a risky business. As China closes its doors, boosting demand for secondary materials from the world’s major economies requires a balanced approach, one made up of both “push” and “pull” measures. One important pathway is recycled-content requirements. Recycled content laws, which have been enacted in a handful of U.S. states, require that a certain percentage of recycled material be included in certain new products and packaging. Perhaps the best-known example is California’s Rigid Plastic Packaging Container Law. Passed in 1991, the law mandates that product manufacturers use 25 percent post-consumer recycled content in rigid plastic containers unless the containers are reused or refilled at least five times, or if they are lightweighted by 10 percent. Penalties for non-compliance range up to $50,000 per violation for a maximum of $100,000 per product manufacturer. California also requires post-consumer content in plastic trash bags. The original law on this requirement mandated that all trash bags of 0.75 millimeters or thicker had 10 percent recycled plastic post-consumer material, eventually increasing to 30 percent. This law was replaced by SB 698 in 1998. Manufacturers now have two compliance options: either 10 percent recycled content or at least 30 percent recycled content of all the plastic products they put on the Californian market. Meanwhile, Oregon’s Rigid Container Recycling Law, in effect since 1995, requires use of 25 percent post-consumer recycled content in rigid plastic containers – for example, soda bottles, and various tubs and pails – unless the recycling rate for plastic containers in the state is at least 25 percent (certain food and medical packaging, source-reduced containers, and some others are exempt). How exactly are companies bound be these requirements held accountable? Most legitimate recyclers operate under a standard, like EuCertplast in Europe and/or ISO9001/14001, which require a formal statement by external accountants as well and un-announced checks by auditors. In the Netherlands for example, where there is voluntary commitment of using 25 percent recycled PET, governmental environment authorities conduct investigations on recycled PET content claims by brandowners. They visit pre-form suppliers and ask leading recyclers to share volumes of shipments sold to the pre-form suppliers. Other measures of compliance are national labeling and certification of product programs. Examples include Blue Angel, a German certification program for products with recycled content, and Canada’s Environmental Choice Program. Piggy-backing recycled-content claims and verification onto existing eco-labeling programs is a natural evolution of an eco-label program, if it’s not already a part of such initiatives. Amid current shifts in global markets, the future of the circular economy is at a crossroads, and there’s no time to waste. Recycled-content mandates present a golden opportunity for stakeholders to stimulate increased domestic investment in recycling infrastructure by providing assurance to sorters and recyclers that key government officials – and society in general – are committed to promoting recycling, improving quality and efficiency, and increasing capacity. The mandates also offer an opportunity for nations to promote innovation and creativity in product design. In the past, the quality and performance of some recycled-content products did not always measure up to products made from virgin materials, but technology has come a long way, and innovations are already making it possible to manufacture high-value and high-quality products that meet or even exceed the performance of virgin products. Perhaps more importantly, introducing minimum recycled-content requirements for selected products and packaging will help to ensure the continued movement of recyclables, irrespective of markets evaporating in China or anywhere else. This would make countries more resilient to market fluctuations that national governments cannot control, allowing them to grow economies more sustainably. It would also prevent the loss of tens of thousands of jobs and the closure of sorting facilities throughout the U.S., the EU and elsewhere. If the increasingly globalized world is to realize a truly circular economy, end markets must be available for the recycled materials that the recycling and reprocessing sector produce. We can set ever-higher recycling targets, but our recovery efforts will be stymied if no market can be found for the material that’s collected. Clarissa Morawski is based in Spain and serves as the managing director of the Reloop Platform, which brings together industry, government and nongovernmental organizations in Europe to form a network for advances in policy that create system conditions for circularity across the European economy. She is also principal of Canada-based CM Consulting Inc. She can be contacted at [email protected]. The views and opinions expressed are those of the author and do not imply endorsement by Resource Recycling, Inc. If you have a subject you wish to cover in an op-ed, please send a short proposal to [email protected] for consideration.